Google X, the search giant’s lab that has dedicated its work to new, unchartered moonshot concepts, has made a name for itself through its work on self-driving cars, smart contact lenses and dozens of other projects worthy of their own sci-fi novels. Today comes news of a Google X project that is perhaps a little more grounded — literally speaking. Flux, a platform that lets the building industry design eco-friendly homes by drawing on big data to do a lot of the hard work, is coming out of stealth with $8 million in funding from a pretty stellar group of investors. Led by DFJ, others include Borrealis, Andreessen Horowitz, Google Ventures and Ev Williams (who knows a thing or two about building platforms that remove some of the technical work for users who want to create content). Also participating are some key industry players — although they are not being named publicly at this point. Founded by three ex-Google engineers and an architect, Flux is the first — and so far only — startup to spin out of the semi-secret lab. It was first founded back in 2011 and spun out a year later. Unlike conspicuous, large buildings, Flux has been in stealth mode from the start and this is the first time that they are going public with details of what they’ve been making. Think of the concept behind Flux as an architectural and structural engineering equivalent of a website builder like Wix or Scroll Kit: you can probably build a nice website if you know how to code, but these platforms open up the ability to build pages to a lot more people, and take out some of the hard basics in the process. Flux, in fact, is not sharing too many details of how the app will look until it launches (“by next year” I understand). The illustration here is a visualization of how one part of it will look, and you can guess how the Wix concept might get applied here. Basics could include data sources around building regulations and codes, details of different building materials, widgets to calculate emissions and energy use based on room sizes and other consumption metrics, as well as basic tools to design the building itself, along the lines of the more limited auto CAD software already available today. Inefficiency is the key concept here. As an architect, Kaufmann put a lot of time into the idea of creating spaces that are not just structurally but ecologically sound, because, as she describes it, buildings are some of the least carbon-friendly things around. They are veritable gas guzzlers, accounting for some 40% of all carbon emissions, according to one estimate; and may be built with materials to “last”, but not in an environmentally sustainable way. 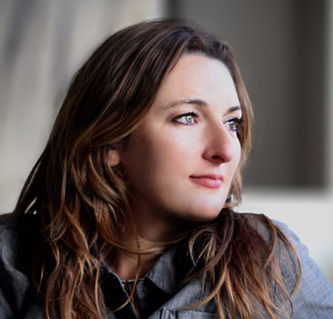 Before Google X, Kaufmann had worked for practices like Frank Gehry’s, and had founded her own company that developed pre-fabricated green homes. Her co-founders are ex-Google software engineers Nick Chim (who is also CEO), Jen Carlile and Augusto Roman. So the concept of Flux was born not just to offer architects and engineers a platform to design buildings more easily, but also more ecologically. If designing sustainable buildings were easier to do, the logic goes, the more likely it would be that companies would make them. “We started from the idea of what could be created when you apply the very best building practices to create the best starting point,” she says. As we continue to see interesting applications of using technology to solve analog problems, startups like Flux are catching the eye of investors who also have higher hopes of solving more than just problems around how to, say, share a picture of your latest meal with your friends. We simply cannot continue building the way we have. The aim at least initially will be for Flux to be used for large multi-dwelling units (such as apartment buildings), although the platform could also conceivably be used also for commercial buildings as well as smaller homes. Kaufmann says that Flux’s first product, which is still in production, will launch formally by next year, likely in partnership with at least one architecture firm and building group. More immediately, tune into the livestream of our Disrupt conference in New York, where later today the head of the Google X lab, Astro Teller, will be speaking.